An FMCG start-up, today, can create a more focused distribution with only super markets. So instead of going to 20,000 smaller shops in a city, it can do with a few hundreds. Consumer product brands is the new sunshine sector in the Indian start-up horizon. In 2017, 24 deals amounting to $274 million were invested in the sector, according to data from Venture Intelligence. That's a growth of 165 per cent over 2016. In 2018, till date, more than $100 million has been invested. 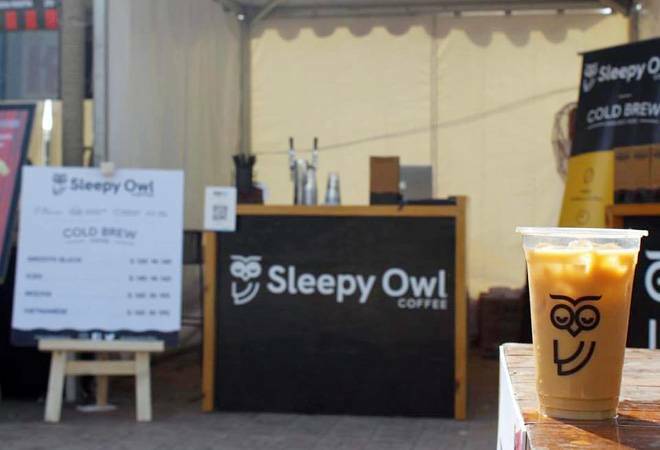 DSG Consumer Partners, which has invested in Hokey Pokey, Sleepy Owl Coffee, Goa Brewcrafts, and My Little Piccolo among others, is one of the largest venture capital firms in the space. Sequoia Capital and Saama Capital have substantial investments as well. One of the "start-up" venture firms interested in brands is Fireside Ventures, which raised a corpus of Rs 3.4 billion from a long list of marquee investors -- Premji Invest, Westbridge Capital, Mariwala Family Office, Unilever Ventures, Emami Ltd., RP-Sanjiv Goenka Family Office, Sunil Munjal's Hero Enterprise Investment Office and ITC Ltd.
Kanwal Singh, Founder and Managing Partner of Fireside Ventures, recently spoke to Business Today, about the opportunity in consumer brands. Singh set up a focused fund around consumer brands because of several "environmental and infrastructural situations" that have emerged. The opportunity he eyes is around boutique spaces. Using natural products, for instance. They are more an urban phenomena. "The consumer dynamics are changing. There is the millennial consumer, their aspirations. In nutshell, an emerging consumer not catered to by the existing players," Singh says. The infrastructural situations Singh refers to are modern trade, supermarkets, and e-commerce. The capital required to build a brand has collapsed because of these. An FMCG start-up, today, can create a more focused distribution with only super markets. So instead of going to 20,000 smaller shops in a city, it can do with a few hundreds. "The cost of customer acquisition is getting more focussed. Ten-fifteen years back, you would have to do more mass advertising on television and print. And you would have the distribution complexity of going to smaller kirana stores. That combination of mass advertising and high fleet on street requirements would require a significant amount of capital," Singh adds. Digital ways of engaging with customers, meanwhile, are reducing the cost of branding. Singh cites consumer engagement platforms on the Web. His portfolio firm Mamaearth, which sells toxin-free baby care products, uses mom bloggers to influence. Singh calculates that for FMCG brands now, it could be possible to build a Rs 100 crore company with an investment of Rs 30-35 crore. A decade back, building a similar sized company would have required Rs 60-70 crore or more. While today, you could get to Rs 100 crore in four years, it would have taken double the time a decade back. All this is making consumer brands a sizzling sector for investments.